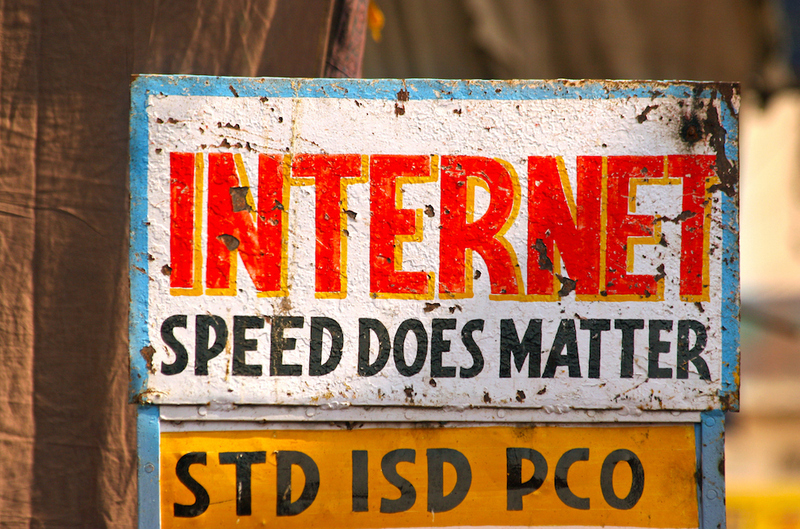 Finally, the era has arrived when fiber optic broadband is going mainstream in India. 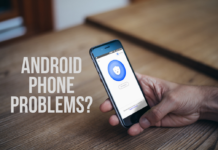 We often talk about smartphones and smart devices. Think about it, nothing can be smart without internet connectivity. 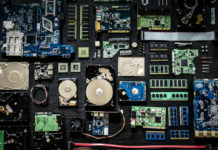 And, with increasing data loads and quantity, traditional broadband connections will soon become a substantial limitation. We are glad to see fiber optic broadband connections become a mainstream reality in 2018. Major service providers have already laid down their infrastructure and are on the verge to go live this year. Let’s understand what is this technology and why you should be excited about the next chapter in broadband connectivity? Optical fiber uses light instead of electricity to carry signal. For ages, we have relied on copper cables to carry electric data signals. While copper cables are capable of handling high bandwidth, they can only do so at a short distance. A few hundred meters and copper cables start to degrade their bandwidth carrying capability. Optical fiber cables comprise of strategically placed glass pieces that reflect light and thus can carry a potentially limitless amount of bandwidth across limitless distances. The biggest advantage of fiber broadband connectivity has to be the consistency of carrying fast data over long distances. Traditional copper cables start to degrade their data-carrying capacity as soon as 100 meters. Copper cables can carry high-speed data but the fact that they cannot maintain the speeds over longer distances makes optical fiber a no-brainer as a worthy upgrade. Technology around us is evolving and it is evolving really fast. Today’s broadband connections are fast but they will soon bottleneck future demands. 4K video is 4 times the resolution of 1080p video and 8K is a whopping 16 times! Today, 4K televisions are mainstream and streaming services are offering UHD (4K) content as well. Streaming such huge loads of data consistently will be viable only through the optical fiber. Also, fiber optics can surpass 1 gigabyte per second speeds as and when it becomes possible. Video streaming services are revolutionising the way we view our television. Thanks to better technology we are not just viewing content at higher resolutions but also in immersive audio codecs and HDR video. 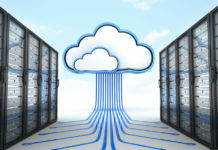 Cloud computing is also on the rise and so is cloud-based gaming. Online games are mainstream gaming choices today. Overall, our present and future entertainment needs are mostly based online. 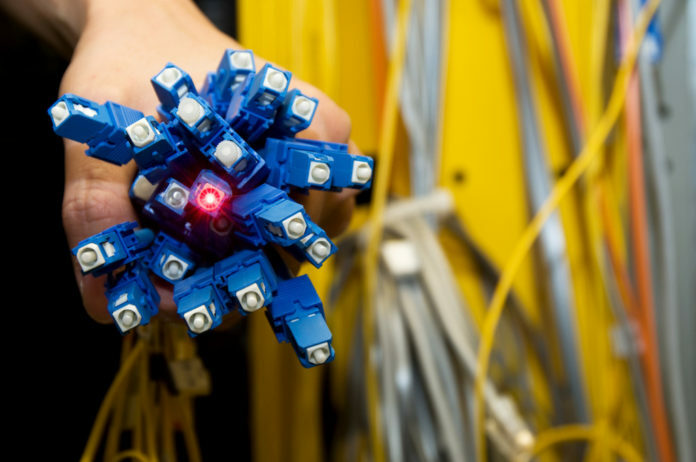 Optical fiber will ensure future consistency with faster data speeds over limitless distances. Copper cables already exist and are being replaced by fiber optic cables by many internet service providers as you read this. With the immense competition in the internet service provider space, fiber optic broadband will cost similar to our existing broadband connections, if not exorbitantly high. No major replacements are required by providers apart from means of channelising internet service. Get ready for high-speed internet at affordable costs. 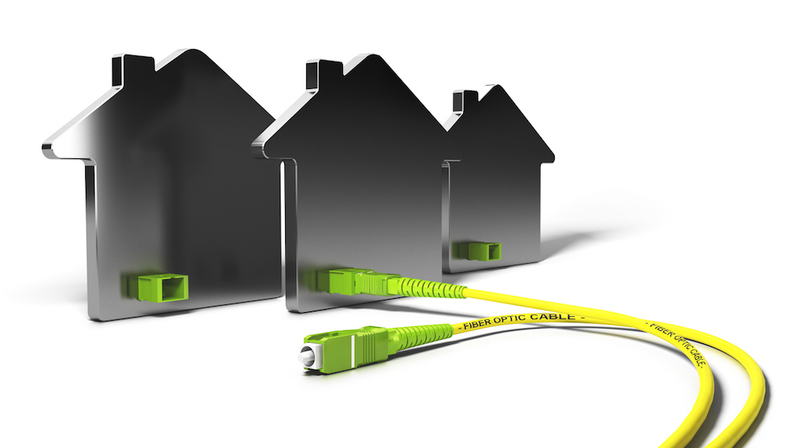 As the name suggests, the optical fiber cable extends all the way to the users home. This is the type of service most of us will be using. 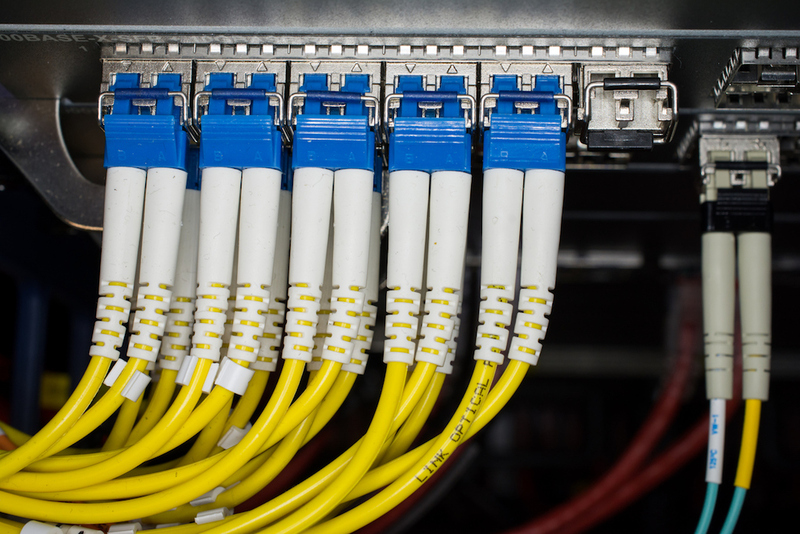 If you have a CAT 5 or CAT 6 router, your internet service provider might provide you with a switch to convert fiber optic connectivity. Thereby, allowing you to keep your current internet router and still experience good speeds. Nonetheless, change is the only constant and it would be great if you upgrade your router to one that can take direct fiber optic connection and also handle gigabyte speeds of the upcoming future. Fiber to the building is when the fiber optic cable reaches your building and is then distributed further. This allows users with existing broadband connections to use their existing cables from the distribution point. Not only that, group connections could also make the service a tad bit affordable than FTTH. In this scenario, the server is the one that gets fiber optic connectivity and the connection is distributed to other computers via other means. This would be a commercial line with potentially limitless capabilities and is meant to enhance productivity. Turn off the internet and suddenly our usual day feels a whole lot boring. We are so accustomed to the internet that slower speeds feel unacceptable. Gone are the days of download and storage. Everything is being streamed now and this trend will only continue further. Finally, with fiber optic connectivity, streaming high-quality content, uploading and downloading large files will feel snappier than ever before. With high-speed internet comes changes to hardware and spending on capable hardware is a part of investing in technology. The most important thing to change would be our internet routers and modems. Everything post that is internet nirvana. Downloading games on your console, viewing high definition content through Netflix, Prime Video, YouTube on your smart TV or video calling, everything is about to enter warp speed. Are you ready? Is 2018 The Best Year For Computing?